In the modern digital age, concerns about online safety for kids continue to rise. 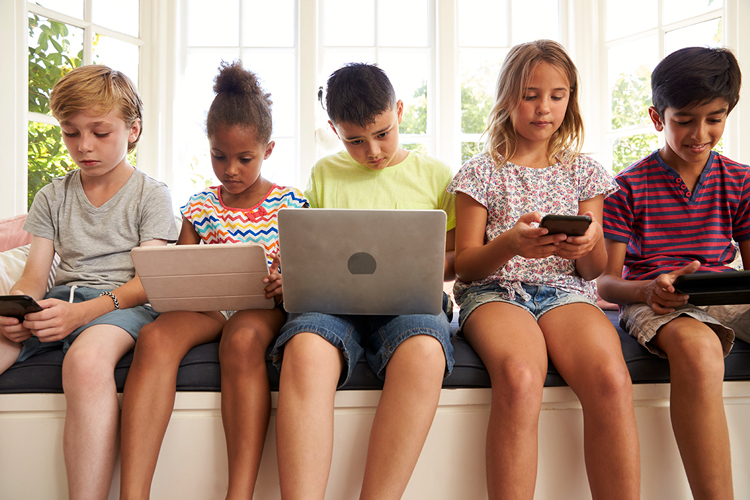 Today, kids are nearly always connected — socially, recreationally, and academically — and can access information online in countless ways. Yet online access comes with risks, including cyberbullying, online predators, and exposure to inappropriate content. As parents navigate the unpredictable, massive online landscape, it’s important that keep the lines of communication open and continue learning about what their kids are exposed to. In the effort to keep kids safe online, the following resources can be valuable tools. While consumer technology has evolved rapidly, so have effective tools for controlling access to it. From basic filtering software years ago to today’s sophisticated smartphone applications, parents have extensive controls at their fingertips. They can control access to content, monitor searches and social media activity, and limit screen time and in-app purchases. When parents inform themselves on how to make the most of parental control features, they can directly impact the online safety of their kids. Kid-Proofing iPhones and Tablets: This article provides practical tips and tricks to keep you kids safe on devices. How to Use (Video): How well do parental controls actually work? This video explores the various software options on the market. Smartphone Controls: This is a how-to guide for parents that want to set controls on their devices, but don’t understand the features enough to do it. Parental Controls for YouTube (Video): This video is a tutorial that helps parents understand how to control content on YouTube. In the quest to keep kids safe online, understanding the use of social media is key. The positive effects of the development of social media are clear; it can strengthen awareness within a community, connect people with loved ones and colleagues, and help students stay aligned with teachers, athletic coaches, and classmates. Yet when kids interact with social media platforms, such as Twitter, Facebook, Snapchat, and Instagram, they can be exposed to sharing or viewing inappropriate, hurtful, or even dangerous content. Aside from increasing kids’ vulnerability to predators and cyber bullies, social media can increase kids’ exposure to often filtered, carefully curated photos and messages that create the illusion of a “perfect” life, ultimately negatively affecting their self-esteem. Posts “liked” by hundreds of friends that show glamorous activities, risk-taking, or wealth can make kids feel lonely, or like they and their lives can’t measure up. How to Keep Kids Safe on Social Media: This is a comprehensive guide to keeping kids safe online. Social Media’s Effect on the Tween Brain: What effect does social media have on the tween brain? 7 Parent Tips: This article lists practical tips and tricks for parents to keep kids safe online. It’s not uncommon for family devices to find themselves in the hands of young kids, who use them to watch videos, listen to music, and play interactive games. Many apps are free to download but offer in-app purchases to access follow-up content required to continue watching or playing. Purchasing online content has become much more convenient by storing credit card information and prompting payment approval by simply entering a password. Unless parents are diligent about designing restrictions for kids in the area of in-app purchases, kids can incur unwanted charges and access inappropriate apps without their parents’ knowledge. Even worse, children may make purchases without their own knowledge. Safety Tips: This article sheds light on how to be more aware of in-app purchases and how to prevent them. The Android Guide: Though iPhones and iPads are commonly discussed, there are Android-specific tips to help parents avoid in-app purchases. Step-by-Step Guide: This provides guidance on how to turn off in-app purchases, one step at a time. The boundaries of electronic privacy are extremely blurry, if not invisible. Kids are constantly exposed to details about all of their online friends’ lives — from what they had for lunch to where they are traveling on vacation. It’s easy for kids to assume they’re sharing these details innocently and within their circles of friends. But the stakes are much higher for sharing personal information online. When kids share information about their locations, they can leave their families vulnerable to predators or robberies, and the availability of personal information, in general, can have negative consequences and risks. Top Tips to Avoid Oversharing Online: This article provides practical tips to help parents guide their kids aways from oversharing online. Consequences of Sharing Too Much Online: It’s hard to understand the risks of oversharing until mistakes are made. This resource discusses the real consequences of oversharing online, so parents can discuss them with their children. Elementary School-Aged Oversharing: Sharing personal information online can start as early as eight years old. While online safety for kids starts with parental controls, teaching kids how to present themselves in a secure, responsible way is the key to keeping them safe in the long term. Armed with knowledge, kids can approach online activity with increased caution, whether they’re managing financial information, sharing photos with friends, or engaging in thoughtful conversations about current events. Enhanced “digital intelligence” can help prepare kids for a personal and professional world that is increasingly behind a screen. Having the Online Talk: This article explains how to approach the topic and consequences of online behavior, and provides relevant resource links for more information. Impact of Digital Intelligence: Parents need to help kids help themselves online, so they’ll be prepared to not only identify areas to avoid, but develop tools to deal with those situations. Education as Prevention: This article discusses the benefits of educating kids about the (positive and negative) realities of internet use.